‘Scott's Cumbrian Blue(s), Willow Italian and Italian Willow’. 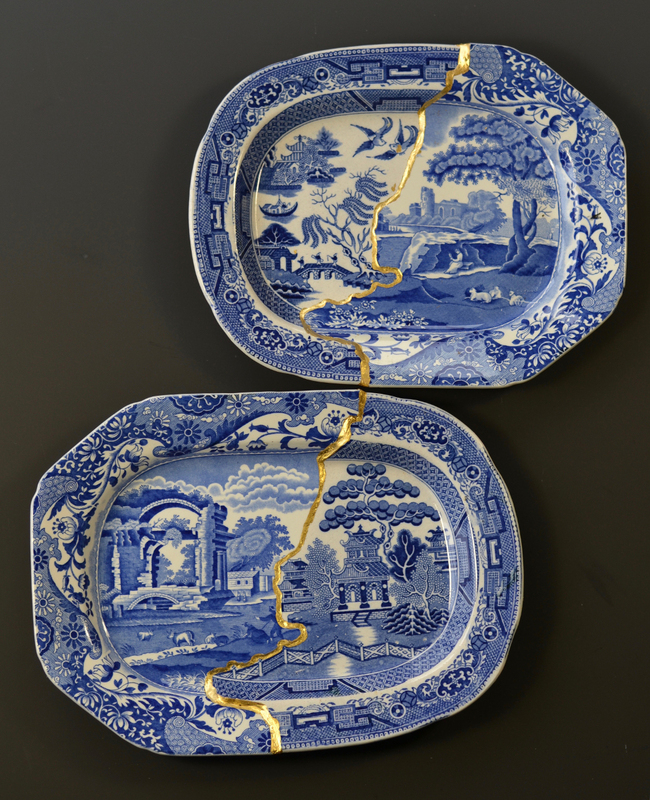 Collage, cut and re-assembled 19th century ‘Willow’ and Spode’s ‘Italian’ transferware platters with Kintsugi. Willow Itaian 285mm x 230mm x 31mm, Italian Willow 310mm x 230mm x31mm. Paul Scott 2018. ‘Scott’s Cumbrian Blue(s), Willow Italian and Italian Willow’. Collage, cut and re-assembled 19th century ‘Willow’ and Spode’s ‘Italian’ transferware platters with Kintsugi. Willow Itaian 285mm x 230mm x 31mm, Italian Willow 310mm x 230mm x31mm. Paul Scott 2018.